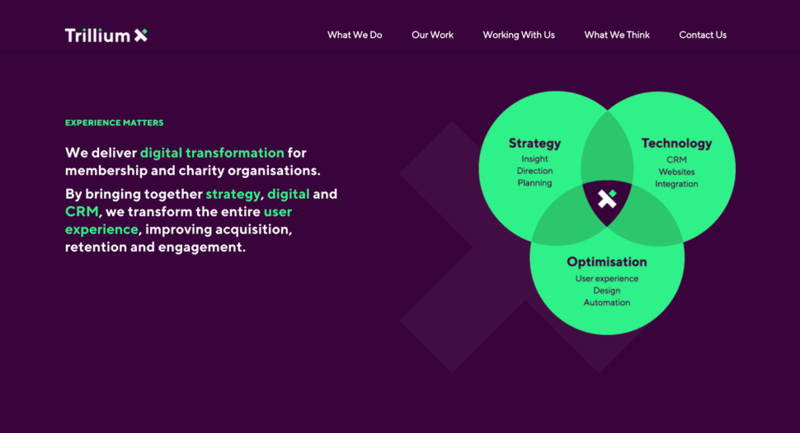 Trillium deliver digital transformation for membership and charity organisations. By bringing together strategy, digital and CRM, they transform the entire user experience, improving acquisition, engagement and retention. Flexible marketing: we support Trillium, as and when they need it, with new initiatives and challenges as they continue to grow. Agile Rose’s understanding of our challenges and aspirations enabled them to create a standout brand identity and complementing programme of marketing activity. We now look and think very differently to our competitors and the increased profile has led directly to a growth in sales opportunities. Alan Perestrello, Co-founder and Director, Trillium.